Benny bully’s is a preservative free treat for dogs. The only ingredient is 100% pure beef liver. Why would you want to give your dog harmful added ingredients? They freeze dry the meat and voila....the best doggie treats in the the whole wide world. My dog loves them!! Haven’t met a dog who wouldn’t say no. I will be definitely be buying theses again. 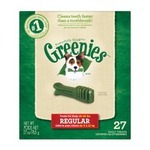 My tollers love these, they love anything lived flavored. I put theses in a great ball and they spend hours chasing it around to get the treats. My dog goes absolutely nuts for these! My dachshund will do anything to get one of these treats! If he smells them he will hunt for them all day. We had a hard time trying to train him until we got these. He is very sensitive to foods and has never had any reactions to these. They are safe and healthy! He loves Benny Bully! This is a great product. Love the minimal ingredients and my dogs loved it. 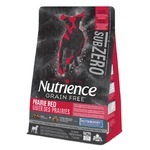 Our vet recommended them and I love that they’re low calorie-good for training. Can be a bit pricy but worth it! i first used this treat for training, it worked well with my dogs because it breaks up easily and can be consumed in seconds, I now use it as an everyday treat especially on walks, to reward them for their good behaviour without giving them a huge treat or cleaning up a mess. These treats are my dogs' favourites. They make the perfect training treat because they are so easy to break into small pieces. 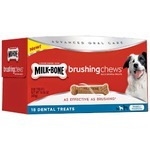 We use them any time my dog is hesitant towards something too especially at the vet or for nail trims. Benny Bully's are awesome. The price is great and the best part is my dogs just love them. 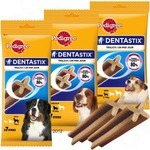 My dogs love these treats and they are perfect for when I do tricks with my dogs because I break them apart. They are affordable too which is great!